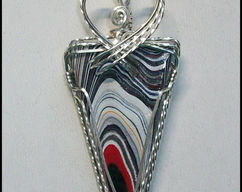 Unique Corvette Fordite heart pendant wrapped in sterling silver wire. 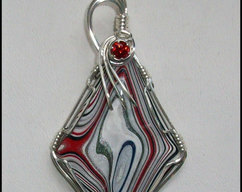 This Fordite came from the Corvette Assembly Plant in Bowling Green, KY during the years 1971-1978. 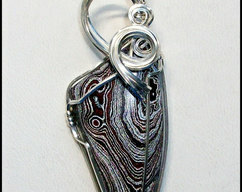 Finished pendant measures 2 inches long and 1 inch wide. 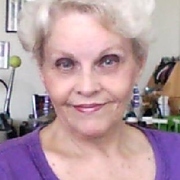 Included is an 18 inch silver filled 1.2mm box chain. 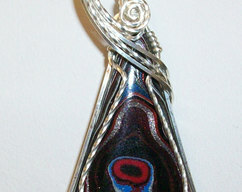 This is a one of a kind pendant and a piece of automobile history.